PRL Introduces 2 New Locks for Our Max Sliding Doors! PRL of Southern California is proud to offer two new locks for our Max sliding doors; a magnetic ADA lock and a lever ADA lock. Offering superior functionality and ADA compliant, these magnetic and lever locks are a must-have for Max Sliders. 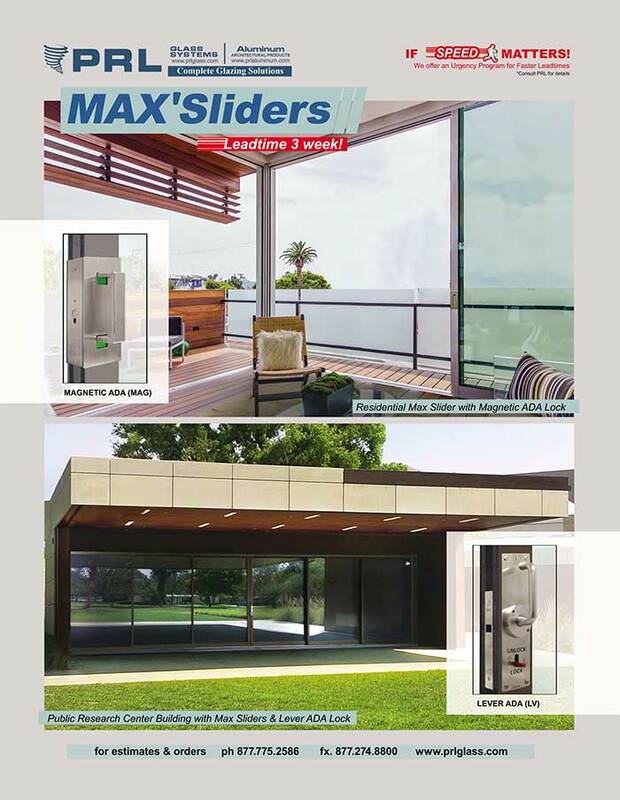 You can rest assured your Max Sliders will be safe and secure with magnetic and lever ADA locks. Using a patented magnetic functionality and a self-latching mechanism with fail-safe single action egress functionality, these locks provide security and peace of mind. Equipped with a feature to determine if a room is occupied at a glance and easy to operate, the magnetic and lever ADA locks offer ease of use and convenience. Handles are easy to operate without any tight grasping, pinching or twisting and they’re equipped with handy “Vacant/In Use” and, “Unlock/Lock” indicators. Offered in a host of brilliant finishes such as chrome, satin chrome, satin nickel and oil rubbed bronze, magnetic ADA locks and lever ADA locks are sure to accent your Max sliding door system beautifully. Magnetic ADA locks and lever ADA locks for PRL’s Max aluminum. When it comes to security, we provide peace of mind. PRL – your problem solvers for everything glass and aluminum.